For two years, Jenna MacKeon has dreamed of a mysterious man summoning her to Scotland. When she makes it to the country, she falls in with the MacEwen clan and falls for the dashing Rory. Meeting the MacEwens is no accident: they have been watching Jenna for years, and are ready to reveal her past and her destiny. Jenna learns that centuries ago the Battle Goddess Morganna imbued a young warrior with magic powers – and she is that woman, called now to right an ancient wrong and bring her family home. With the help of a chatty ghost and her psychic sister, Jenna is ready to take her rightful place. But a dark presence is stalking her, threatening Jenna’s newfound role and her life. 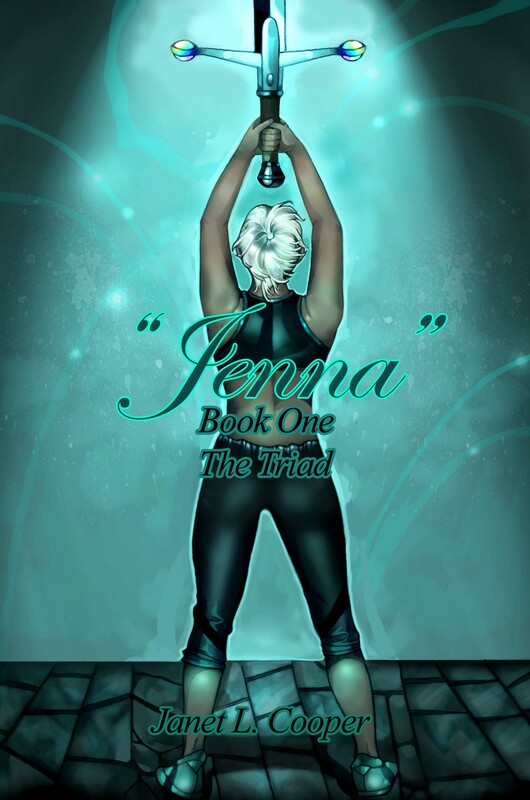 Filled with humor, romance, and fiery women, The Triad: Book One “Jenna” is the first book in a thrilling new urban fantasy series. Janet L. Cooper has always been involved in art and music. She was married to her brilliant and charming soul mate, John David, for thirty-four years. After retiring, she had a dream about a mysterious man summoning her to Scotland and began writing The Triad.